Polskie Stowarzyszenie na Rzecz Osób z Upośledzeniem Umysłowym (Polish Association for Persons with Intellectual Disability) is a continuation of activities undertaken by the parents of children with profound intellectual disabilities who, stranded in their efforts and devoid of any assistance from the communist state, started the Committee of Aid to Children with Special Needs at the Polish Society of the Friends of Children in 1963. Based on the Committee’s collective wisdom, values and experience, a new independent Association was created in 1991, taking advantage of the changed political circumstances. The Polish Association for Persons with Intellectual Disability has 11.000 members, and implements statutory tasks through 122 local branches. The association manages 353 facilities which provide services for 23,000 children and adults with intellectual disabilities, employing 7.800 people. Polish Association for Persons with Intellectual Disability is a member of Inclusion Europe. 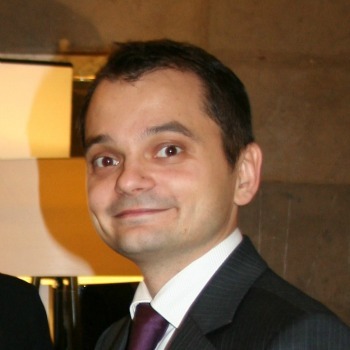 Michał Orzechowski is Head of the Legal Department of the Main Board Office of the Polish Association for Persons with Intellectual Disability and a former member of the advisory team for changes in the law on associations in the Chancellery of the President of Poland Bronislaw Komorowski. He has been working for the association since 2007 and deals with legal aspects of the non-governmental sector in Poland. He also conducts individual legal counseling for people with intellectual disabilities.